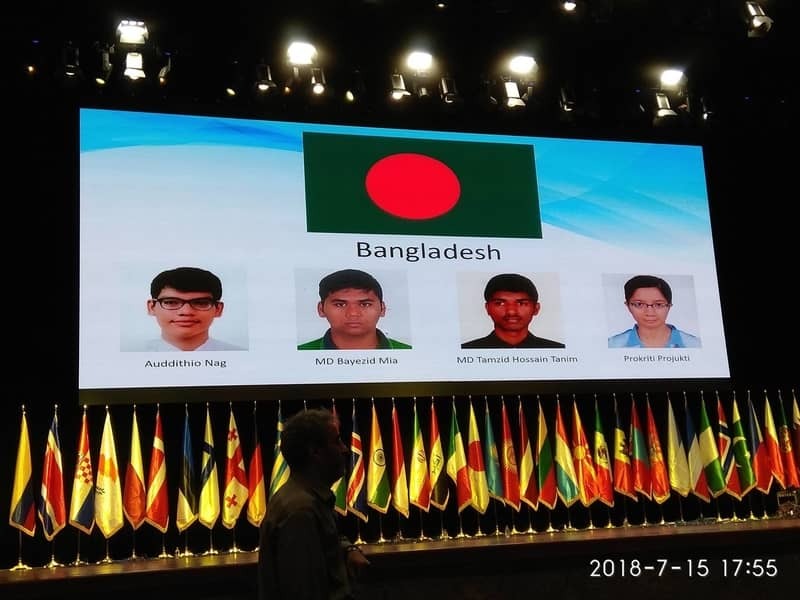 Four Bangladeshi high school students have joined the International Biology Olympiad (IBO) in Iran. They are Auddithio Nag, Bayezid Mia, Tmzid Hossain Tanim and Prokriti Projukti. The Olympiad began on July 15 and it will continue until July 22, said a press release. The IBO 2018 has been organised by the Ministry of Education, Iran in partnership with The University of Tarbiat Modares. More than 260 students from 60 different countries joined the event.